As exciting a cover as there ever was one...if it had been what really happened, of course! 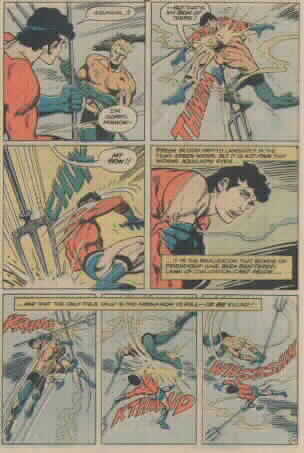 This is it---Aquaman vs. Aqualad in a fight to the death to save baby AJ's life. Who will Aquaman choose---his young son or his friend and partner? !